I love to try new things, new makeup, new brand. 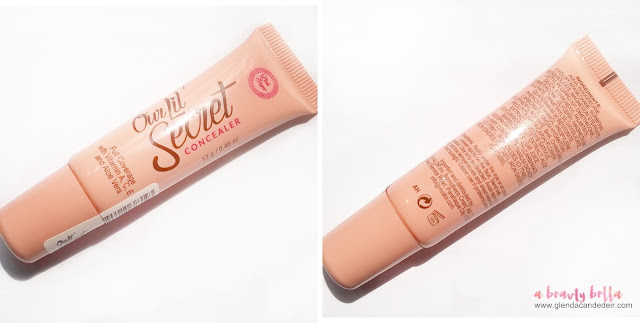 I have some favorite brands I always stick to but there's always new products came out from the market worth trying (might be sad if I'm not lucky :p ). The newest local brand in the makeup line right now is Pink Sugar. I don't like to believe to a rave unless I tried it myself. Several concealers failed my skin type before or I could also say they it doesn't match my finishing powder maybe? 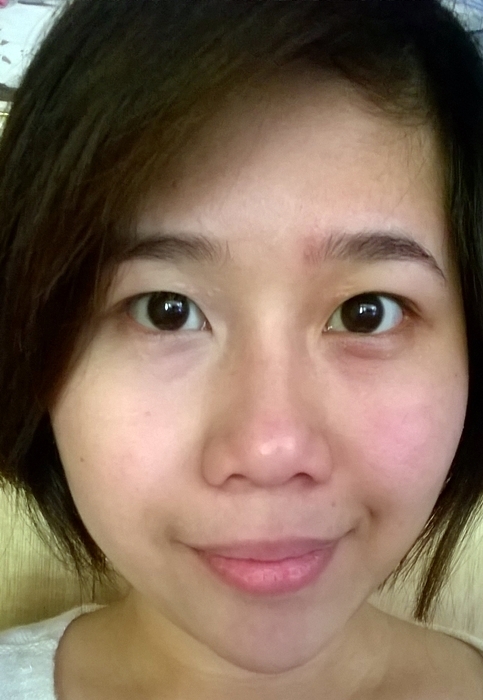 I really hate concealers that make my eyes wrinkled after few hours. Some concealers I've used also adds oiliness to my oily lids - which would just make a domino effect to my eye makeup worst huhu. 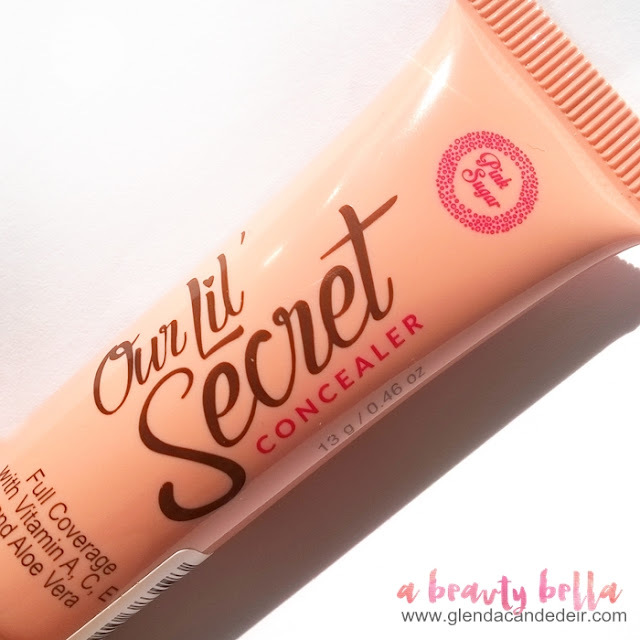 So now let's see this Pink Sugar's Our Lil' Secret Concealer would make it to my list. It comes in this tube most common for a lip gloss packaging. I also get to swatch all shades first to check out clearly which one matches my skin tone. I went for the Light Medium Shade. Can see you the coverage of a single swipe? and it's dry matte as well after a minute. I just wonder how would it look like on my under eye if it looks dry as this? Would it crumple or make lines if I smile? I already applied the concealer on the right side of my face on this photo. I often use a damp sponge to apply PS Our Lil' Secret Concealer. I'm NC 30-35 in MAC and Light shade suits my face well, unlike when I swatched it on my back arm. 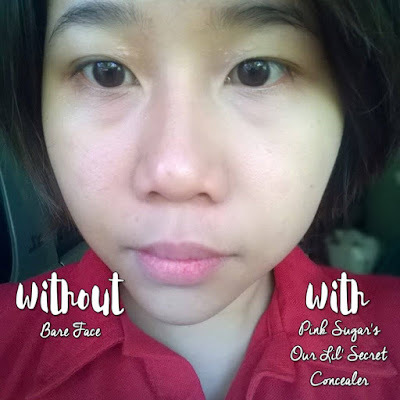 When I applied powder specifically Ben Nye or Maxfactor Powder, the combination cakes up after I few hours. Sometimes, I prefer using the concealer alone. Does This Thing Really Work? Yes! I tried another one the next day. 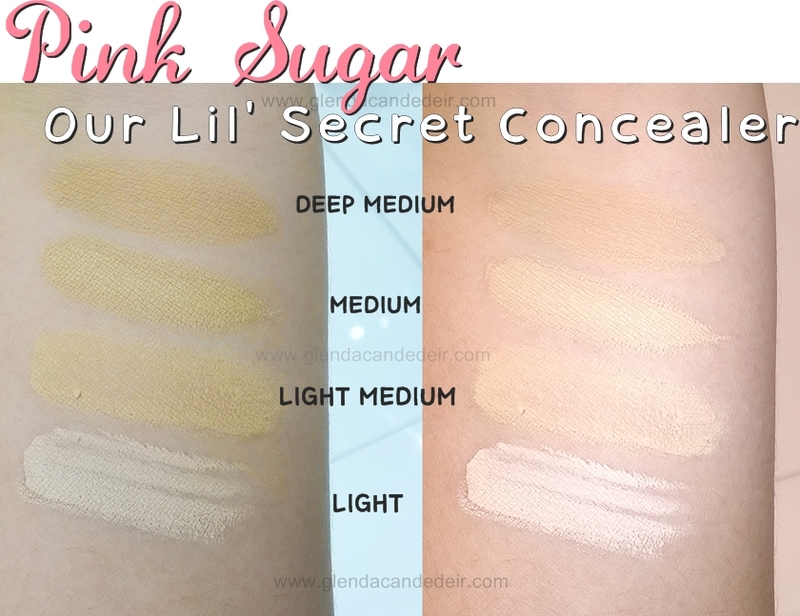 3 comments on "Pink Sugar's Our Lil' Secret Concealer (Light)"
I haven't opened mine from my November BDJ Box, I hope I got the right shade *crossed fingers* I love the fact that it has a matte finished, no need to set na.